This is a 5 1/2" x 8 1/2" piece of paper. Like last week's list of military service dates from Jean, the paper is a grayish/off-white, although the scan shows it as white. This sheet has a watermark: LAKES BOND / MADE IN U S A. It was folded in thirds and then in half across the middle. The folds do not match those from last week's paper. Everything is typed and legible. 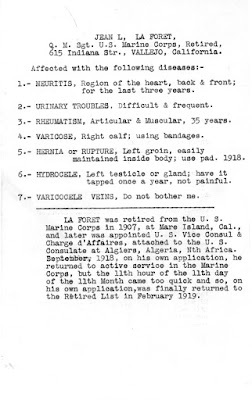 Perhaps intended to accompany the military service compilation, this list enumerates the ailments from which Jean La Forêt was suffering. It is not dated. Because it cites his second retirement date, February 1919, it must have been typed after February 1, the day he retired again (does that mean he reretired?). Maybe he was preparing to file for a pension or a medical claim? The address at the top of the list, 615 Indiana Str[eet], Vallejo, mataches that of Emma when she first filed for a pension based on Jean's service. A hydrocele is a "fluid-filled sac surrounding a testicle that causes swelling in the scrotum." Interestingly, though, a "[h]ydrocele is common in newborns and usually disappears without treatment during the first year of life. 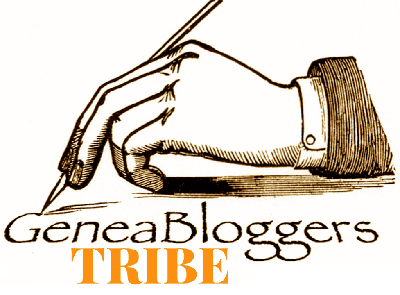 "1 Jean certainly wasn't a newborn, but the definition didn't preclude it occurring in adults. Varicocele veins are enlarged veins within the scrotum2, similar to varicose veins in the legs. Jean was very blasé about his treatments for his ailments. I particularly like his comment about the hernia: "easily maintained inside body." Well, that's certainly good news! 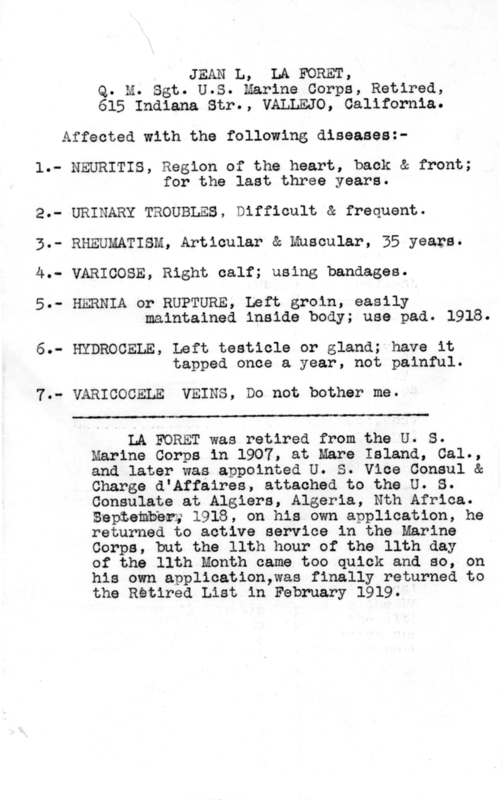 After going through his medical problems, Jean gave a synopsis of the military and consular history he detailed on the previous sheet. If this page were intended to accompany the work history, he probably wouldn't have needed to repeat that information, so maybe this page had some other purpose. Tomorrow is Veterans Day, originally called Armistice Day, so it's somewhat fitting to post this page now, as Jean mentioned "the 11th hour of the 11th day of the 11th Month", when the armistice ending World War I officially went into effect in 1918. 1. Definition from Mayo Clinic, http://www.mayoclinic.org/diseases-conditions/hydrocele/basics/definition/con-20024139. 2. Definition from Mayo Clinic, http://www.mayoclinic.org/diseases-conditions/varicocele/basics/definition/con-20024164.